Maltina is a natural malt drink, rich in multivitamins which provide the extra nourishment to build, protest and vitalize your body. Its delicious, rich and creamy taste can be enjoyed by anyone, any time! 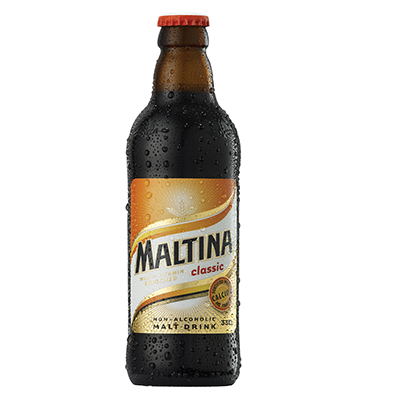 Maltina is produced by Nigerian breweries PLC, and was launched into the Nigerian market in 1976. Maltina was the first malt drink to be locally produced in Nigeria. Maltina is enriched with essential vitamins A, B1, B2, B3, B5, B6 and C and calcium in addition to its natural ingredient base. Maltina’s multivitamin and mineral fortification provides the nourishment you need to share those happy moments with your loved ones and friends.